Texas A&M University-Commerce is located about one hour drive northeast of the Dallas metroplex. Commerce is a city of around 8000 people, about fifteen minutes drive north of Interstate Highway 30. The area is a rich combination of rural life - including local music, festivals and other unique entertainment - combined with the nearness of the nation's fifth largest metropolitan area. If you are visiting Commerce, you will be able to find quality lodging at one of the area hotels. Other nearby cities include Greenville (about twenty minutes drive west), Sulphur Springs (about twenty minutes drive east) and Paris (about one hour drive north). These cities boast a wealth of opportunities for lodging, entertainment and shopping. Once you arrive in Commerce, please take the time to stroll around our beautiful campus. We have many new facilities for learning and recreation, including our new Student Center, Science Building and state of the art Planetarium, Recreation Center and dorms. There are often activities on campus that are open to all such as plays in our Theatre, music performances, art exhibitions and planetarium shows. 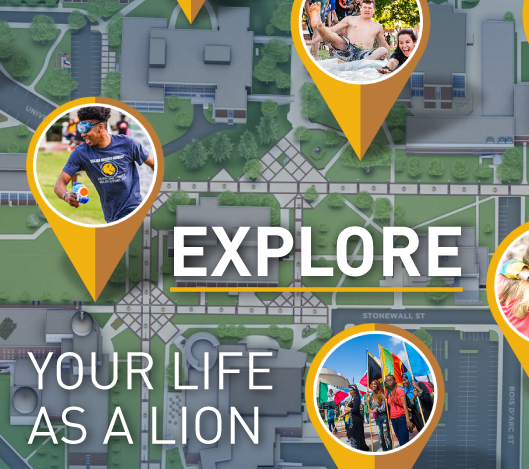 Click here to view a printable map of our Campus.